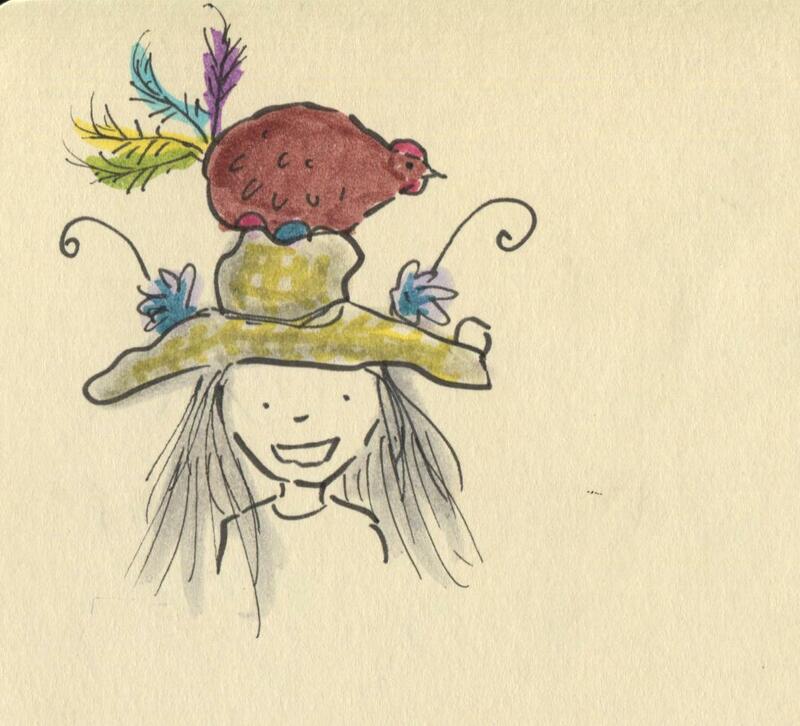 Posted on April 7, 2014, in Uncategorized and tagged Chickens, Children, Doodlemum, Drawing, Easter, Family, Humour, Illustration, Life, Pen and Ink, Sketchbook. Bookmark the permalink. 9 Comments. It’s a brown chicken! I thought it was a chocolate Easter egg when she was painting it! I was wrong about Jackson Pollock. It’s totally Dali. Phew! It’s not a decapitated Doodle family member! It’s a wonderful hat, well done Evie! Does that hen have an egg hidden somewhere? So it’s not a giant chocolate egg! Totally ab-fab!